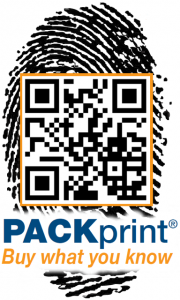 FASTechnology Group is a veteran Consumer Packaged Goods (CPG) packaging integrator with roots in the Commercial Printing vertical segment. FASTech’s core competency is focused in high speed precision product tracking, handling, vision based quality control, variable digital package printing, and retail-ready end cap palletization. With over 1,000 installations nation-wide, FASTech is well-versed in the turnkey application of high volume machine and variable data print controls within the major US Commercial Printing sector. 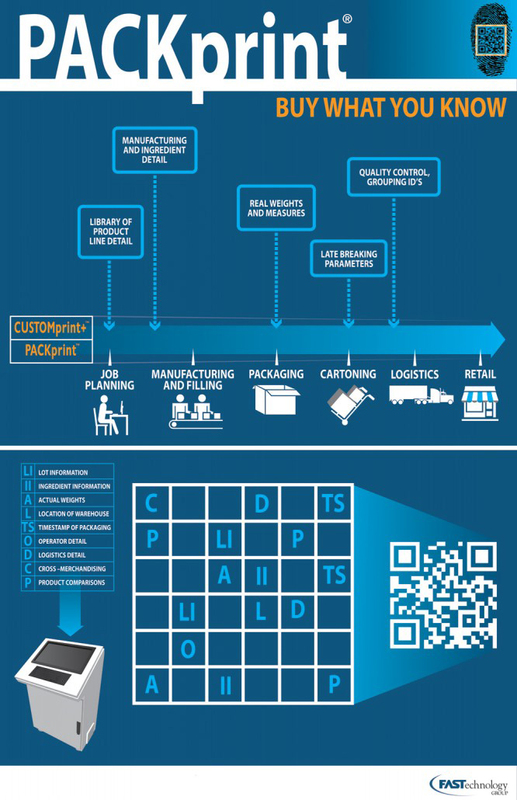 These core CPG competencies combined with FASTech’s consumer targeting expertise that was honed over many years in the complex Commercial Printing segment has formed the cornerstone for our emerging Retail Ready Personalized Packaging (RRPP) initiative, and is designed to improve product sustainability and effectiveness. More specifically, custom geographic, demographic, psychographic and store-centric marketing content can be developed and micro-targeted to a granular level never achievable until now, and ultimately incorporated into the manufacturer supply chain to retail store. 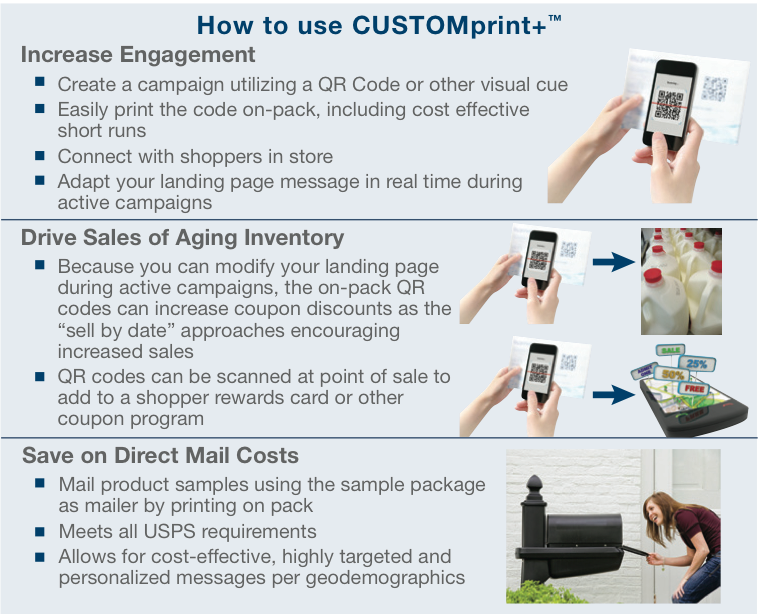 This custom, store-of-the-community retailer / demographic targeted content is now variably printed on pack, and is also truly segmented to the area, route, store, pallet, or even individual customer level. 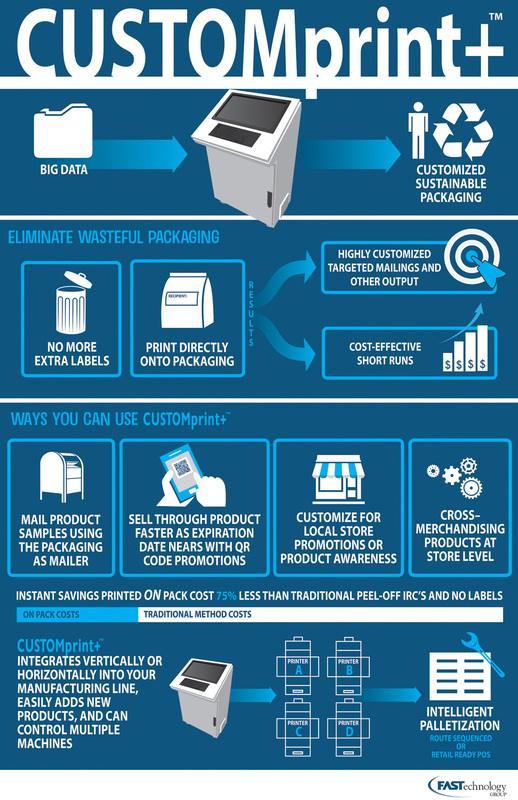 Not only can an overall reduction in bulk retail labeling, ordering and inventory costs be realized, but it also yields retailer economies of scale by shifting POS costs and wasted floor space from broad “shotgun approach” POS displays to efficient and effective micro targeting on-pack, on-carrier, and on-pallet. 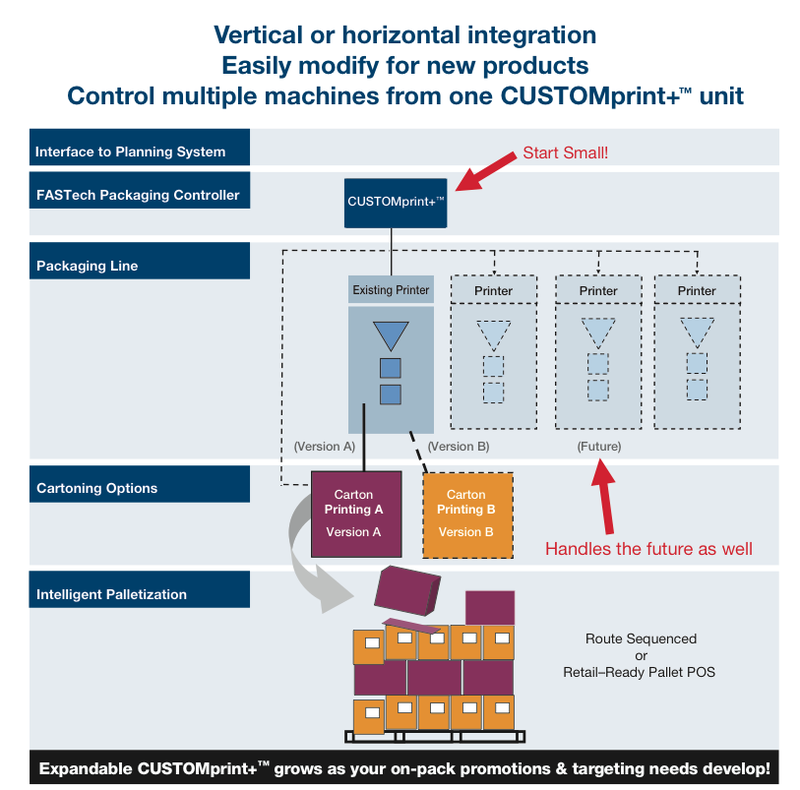 FASTechnology Group’s intelligent palletization controls yields route sequenced, mixed case, or demographic grouped end-cap pallet displays that are far more retail-ready simply after unwrapping on the floor. FASTech patent pending RRPP systems can be easily overlayed and cost effectively deployed onto any pre-existing filling and packaging lines.